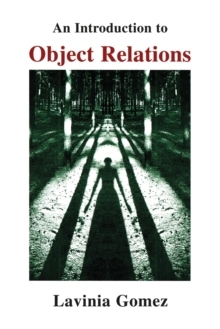 Developments in Object Relations provides a highly accessible account of how British Object Relations developed in the second half of the twentieth century, focusing on the generation who took up where Klein and Winnicott left off. 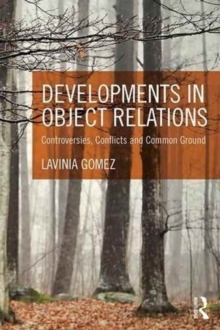 Complementing and building on its predecessor, An Introduction to Object Relations, it gives an overview of the development of Object Relations with special reference to the Independent and Kleinian traditions. 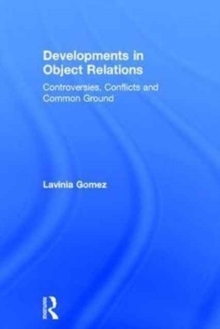 An introductory chapter defines the key features of Object Relations. The emergence of Object Relations is is then described theoretically from some of Freud's papers and clinically from the controversial work of Sandor Ferenczi. Similarities and divergences between Kleinian and Independent approaches are considered in detail through the close examination of the work of a key practitioner from each approach, and other significant contributions. Gomez brings clarity to a complex field, discussing what is powerful and problematic about the two main strands in British psychoanalysis. Kleinian and Independent approaches are consistently compared and contrasted, so that readers can develop a clear idea of each. Rather than preferring one to the other, they are presented as different approaches to what is fundamental in psychoanalysis. Chapters on Bion and Masud Khan bring the work of each tradition to life in a fascinating and informative way. 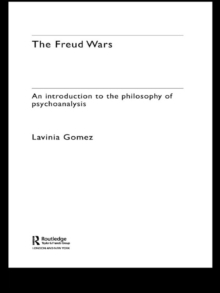 Gomez concludes by summarising the claim of psychoanalysis to offer a new way of understanding human reality, particularly useful for readers interested in her second book, The Freud Wars. Developments in Object Relations will be of great help to psychoanalysts and psychotherapists who work psychoanalytically, particularly those in the process of training, those who have recently qualified and those who are rethinking their position on the different, strongly-held views they encounter. This book is particularly timely when psychoanalytic approaches are under attack from treatments claiming to offer quicker and easier solutions.